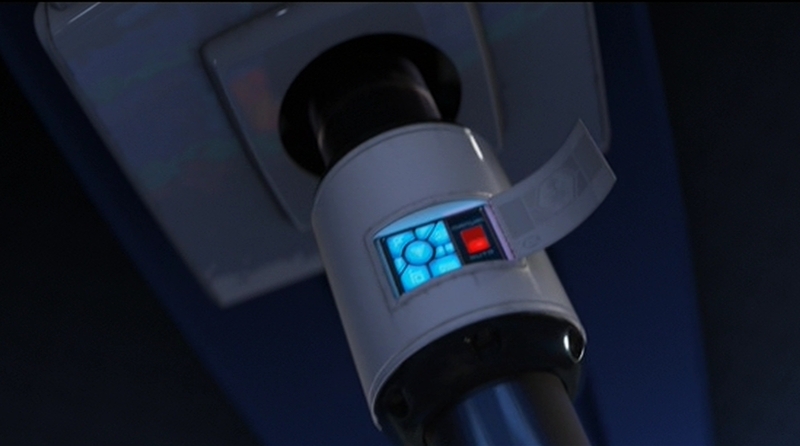 This entry was posted in WALL•E (2008) and tagged affordance, alert, all caps, analog, audio, button, cyan, glow, label, momentary button, monitoring, panel, pushbutton, red, robot, safety, security, touch, translucent, white. Bookmark the permalink. I wonder if the clearly labelled off switch is a case of circumventing regulations? The regulations say you have to have an off switch, and it has to be labelled with clear instructions. However, they don’t say it has to be easily accessible or in plain sight as the people writing the rules thought that was implicit, so the creators of the ship hid it behind a panel.